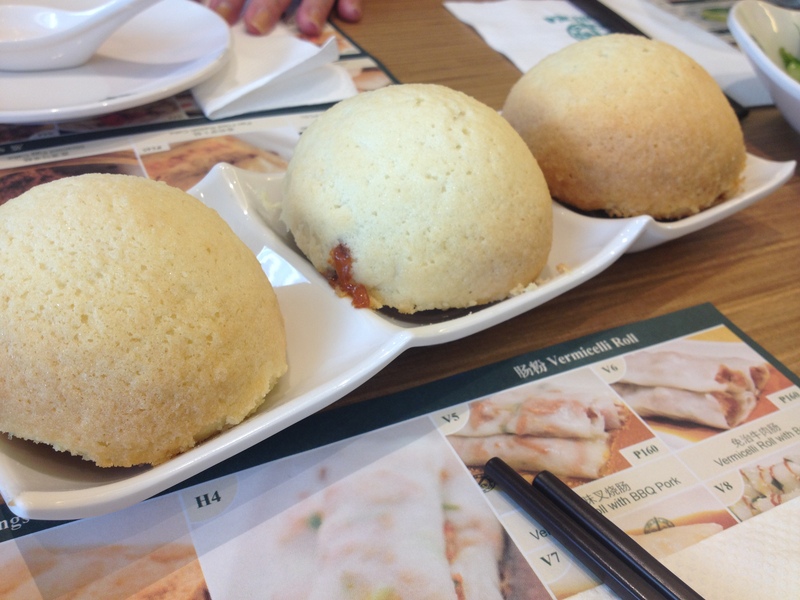 The famous pork bun got us lining. If you ever had an attempt of trying out his new restaurant, you would know how long the line is and how long you will have to wait as others get their natural high first before you are given a seat. Luckily for us, the line wasn’t that long when we arrived at Glorietta 3. We only waited around 20 minutes. So anyway, while we were waiting, the greeter/host handed us the menu already. I thought there was more. 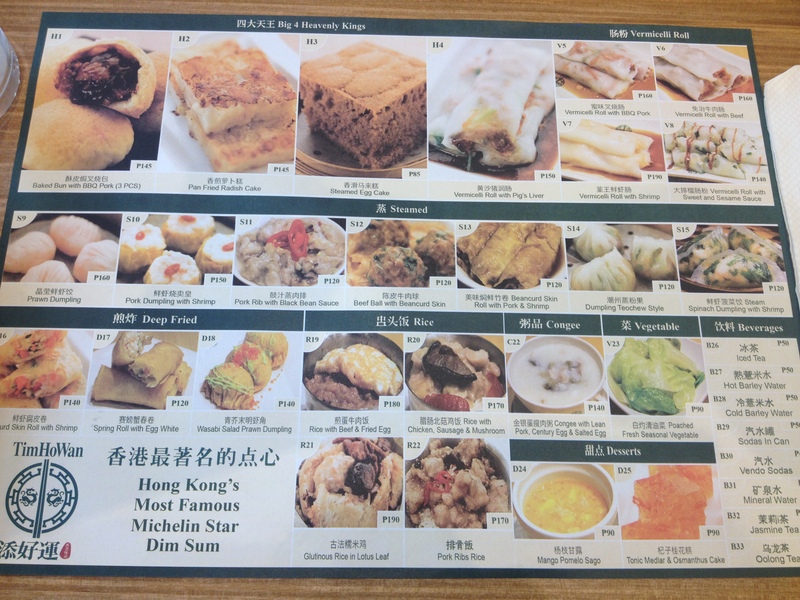 I thought this was only the highlight of their menu as it also serves as their placemat for the table. But that was it. The menu was a little short of choices. 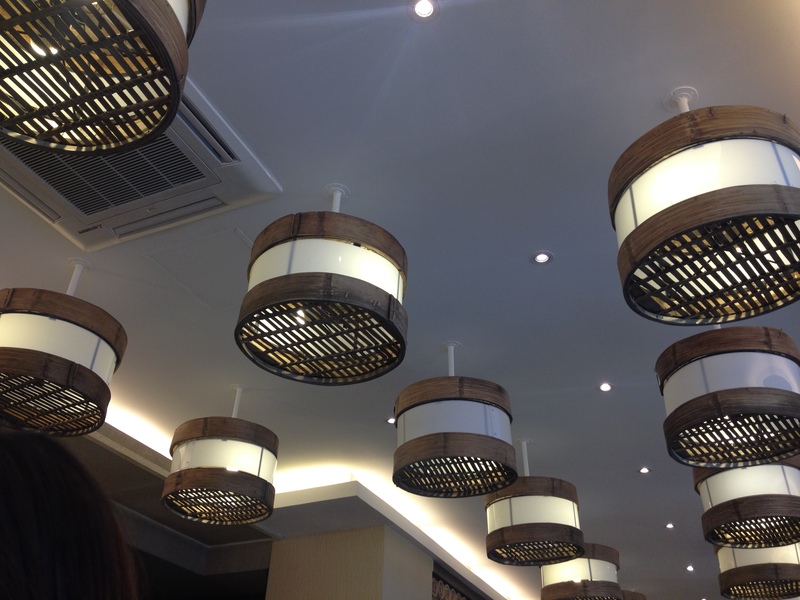 It would be such a crime not to order the Pork Buns – as it is the star of the restaurant. 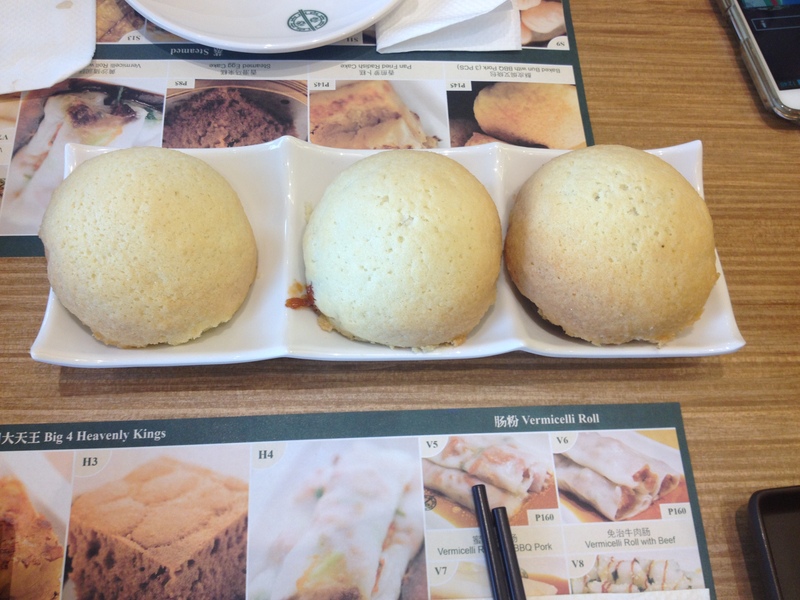 Pork BBQ filled Buns – Php 160 I cannot even describe how good it is! From the way it smelled, it’s like a newly baked bread from Santa’s Oven. The bun was soft and crispy at the same time – No. Not crispy but it was sooo goood. The bun alone can also be a secondary star next to this. Now I know why people line up for this! 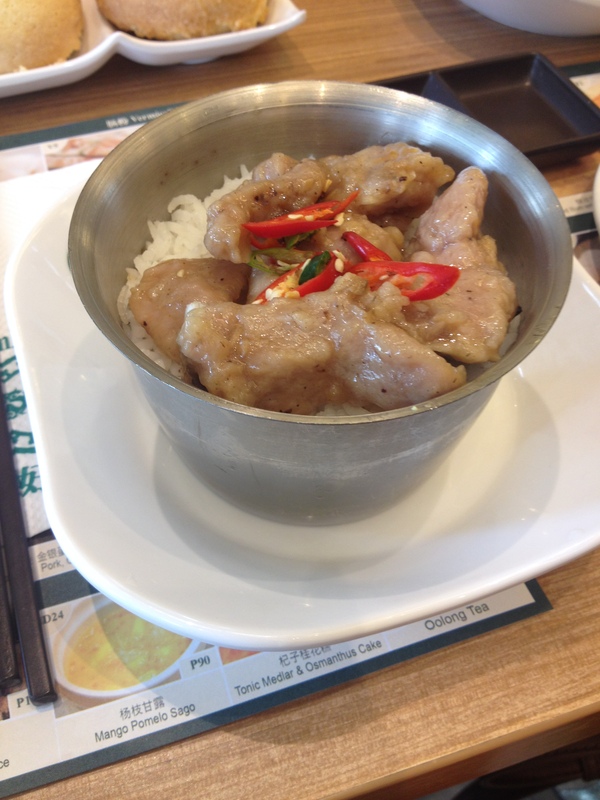 Chicken, Mushroom and Sausage – Php 170 Sorry. I wasn’t able to try this. 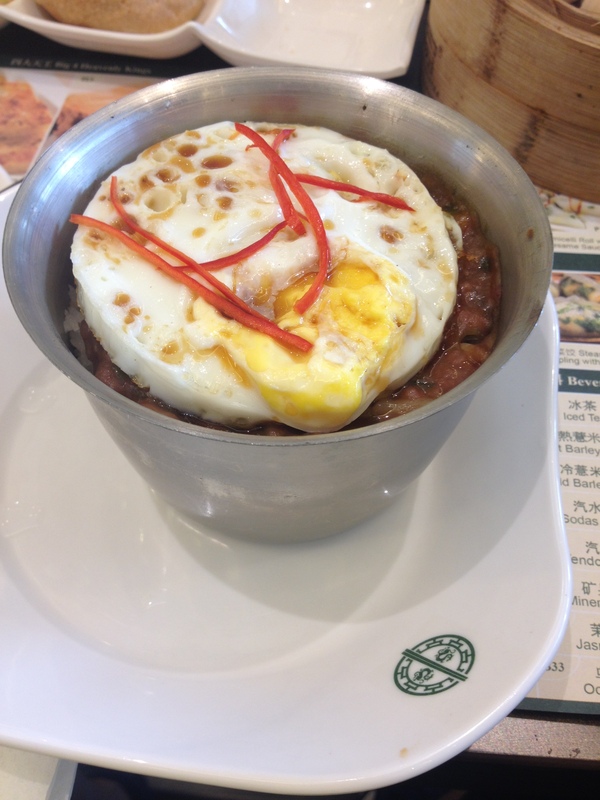 Rice with Beef and Fried Egg – Php 180 I also wasn’t able to try this one. But if you’re planning to order the Rice Toppings alone, I suggest not. My siblings didn’t enjoy it very much plus the cup was more then 3/4 full of rice. It was basically just a topping – literally. 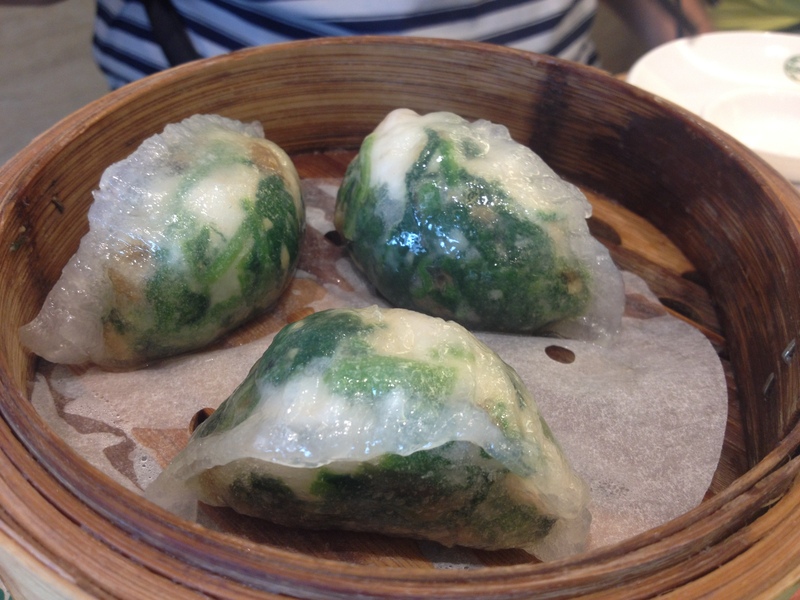 Steamed Spinach Dumpling with Shrimp – Php 120. What can I say? All my favorites are rolled inside. 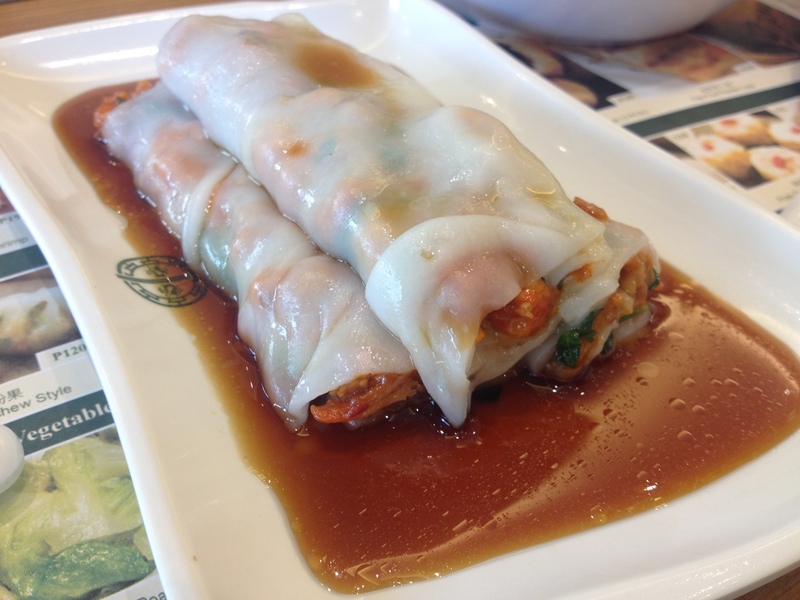 :))) It’s like my favorite soup – Spinach and Shrimp. It was really good. 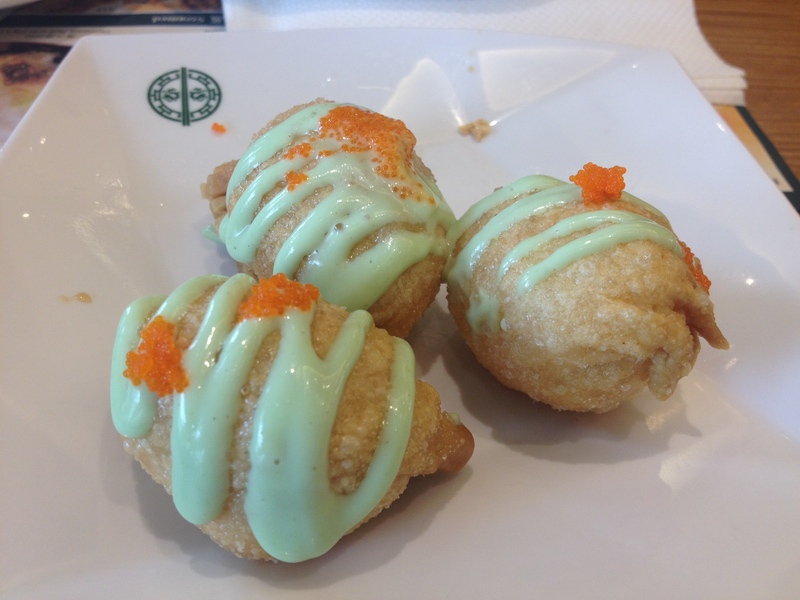 Wasabi Salad Prawn Dumpling – Php 140. Okay, so I tried this one and I had to pass the other half to my brother. I did not liked it. Or probably beause I also don’t eat wasabi ever. Vermicelli with Pork BBQ – Php 160 I specifically asked to order this one as I wanted to try it. It didn’t fail. The filling was that of a pork bun. It was good as well as the sauce. ← VENICE: Can a MUA teach me to do this everyday?